YES, who? . . . When the shapes and shadows of night hide a million mysteries. . . . When strange, spine-chilling noises freeze us with fright. . . . Who doesn’t wish for the comforting companionship of a strong, bright light? 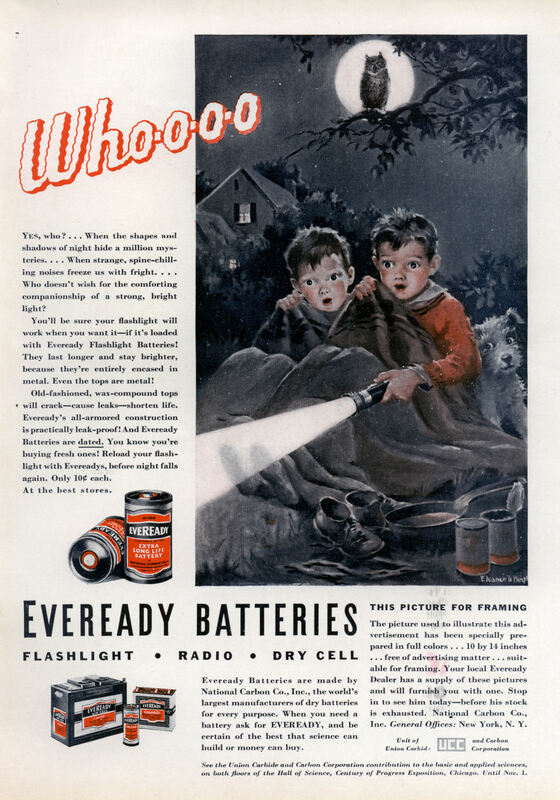 You’ll he sure your flashlight will work when you want itâ€”if it’s loaded with Eveready Flashlight Batteries! They last longer and stay brighter, because they’re entirely encased in metal. Even the tops are metal! Old-fashioned, wax-compound tops will crackâ€”cause leaks shorten life. Eveready’s all-armored construction is practically leak-proof! And Eveready Batteries are dated. You know you’re buying fresh ones! Reload your flashlight with Evereadys, before night falls again. Only 100 each. At the best stores. Eveready Batteries are made by National Carbon Co., Inc., the world’s largest manufacturers of dry batteries for every purpose. 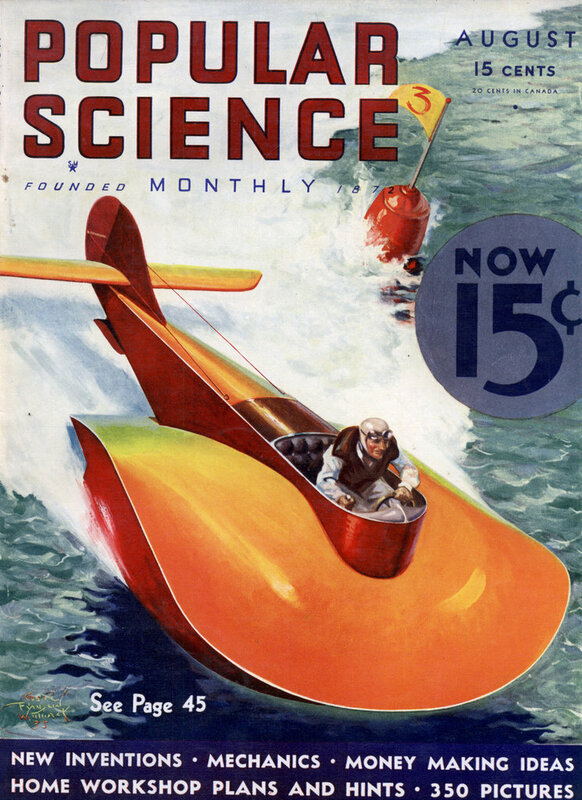 When you need a battery ask for EVEREADY, and be certain of the best that science can build or money can buy. THIS PICTURE FOR FRAMING The picture used to illustrate this advertisement has been specially prepared in full colors … 10 by 14 inches â€¢ . . free of advertising matter . . . suitable for framing. Your local Eveready Dealer has a supply of these pictures and will furnish you with one. Stop in to see him todayâ€”before his stock is exhausted. National Carbon Co., Inc. General Offices: New York, N. Y.